Mindray America is not only your source for quality ultrasound machines, but also for top of the line Mindray anesthesia machines. Whether for major or minor surgery or for other medical treatments, Mindray has the anesthesia machine for you. The modern continuous-flow anesthesia machine was invented by Henry Boyle in 1917 and was called Boyle’s machine. His design included cylinders for the gases and a “Boyle’s Bottle” to vaporize diethyl ether. Dr. Boyle was a left-hander and anesthesia machines available all over the world were initially designed with controls and switches meant for left-hand use until the 1950s when components were revised to suit right-hand use. 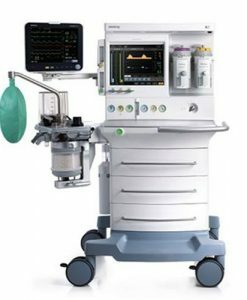 National Ultrasound, the North American Distributor for Mindray, has anesthesia machines for sale by Mindray, an innovative leader in healthcare solutions. One of Mindray’s core values is to be precise and practical, and this shows in their attention to detail in their anesthesia machines. National MD carries the Mindray A3 Anesthesia Machine, a system that merges intuitive simplicity with advanced technology. Click on the product below to find out more about the Mindray A3. Or fill out the quick quote form below to get in touch now with a friendly National Ultrasound expert.